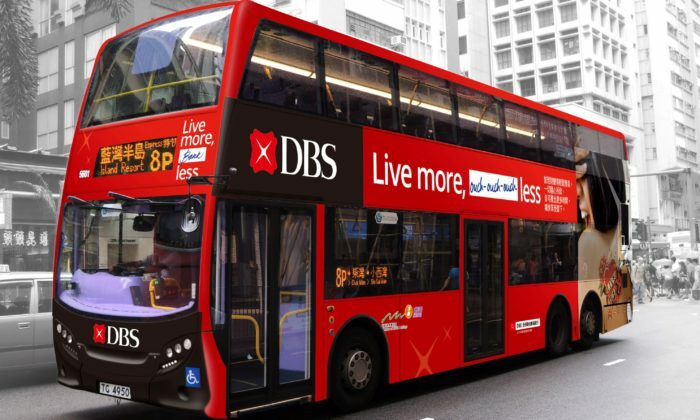 DBS Hong Kong’s rebrand campaign “Live more, Bank less” has kicked off to showcase simple banking and promote the brand with a series of activities including free ferry rides in August. The campaign aims to demonstrate hassle-free banking services, embedding banking in the daily lives of customers and encourage people to have more time on the people and things they care about. Crowned as the World’s Best Digital Bank and World’s Best Bank for SMEs in 2018 by Euromoney, the bank has a number of apps and digital platforms to cater for different needs. “We believe that banks tomorrow will look fundamentally different from banks today. That’s why we are deeply immersed in the digital agenda, whether it is changing the culture and mindsets of our people, re-architecting our technology infrastructure, or leveraging big data to make banking simple and seamless for customers,” said Ajay Mathur, managing director and head of Consumer Banking Group & Wealth Management of DBS Bank (Hong Kong). The campaign aims to encourage customers and staff to “live larger than themselves” and give back to the community. Apart from providing step-up fund to more than 50 social enterprises, 50 volunteering initiatives, while six in Hong Kong, are taking place in July. To further promote the campaign, DBS Hong Kong will be offering the public free rides on two Star Ferry routes running between Tsim Sha Tsui and Central, and Tsim Sha Tsui and Wanchai on 18 August. Also, In collaboration with Swire Properties, lunchtime busking sessions at Taikoo Place under the “PROJECT AFTER 6: Busking” initiative are planned for September and October to help talented office professionals in Hong Kong fulfill their musical aspirations, and foster community joy and happiness. Other promotions include out-of-home online advertising, influencer marketing and social media marketing. Each DBS staff will be given HK$3,000 bonus this month as part of the bank’s 50th anniversary celebration as well. Claiming top spot and winning gold this year is ANON. Take a look at who its strongest competitors are in the category. .. Helping Bangladesh: Are brands doing their bit? Judgement befalls brands once again when seemingly preventable disasters such as the recent collapse of the eight-story building i..
LEGO will end its long-running partnership with Shell dating back to the 1960s, following a popular Greenpeace campaign calling on.. Previously SVP and head of IMG’s Asia Pacific business, Henchman will retain oversight of his regional teams in Australia, Japan, ..